If you’re looking to break into a new career, learning how to become a property manager could be the right move for you. People of all ages are choosing to rent over buying a house, so the need for reliable property managers is out there. And the Bureau of Labor Statistics projects that employment in the industry will grow 8 percent through 2024, so the need will continue to exist for the foreseeable future. Do a decent salary, steady employment, job security—and a strong desire to work with people—top your wish list when it comes to your next career? If so, follow these steps on how to become a property manager. The specific licensing requirements for becoming a property manager vary by state. Plus, there are different rules that apply depending on the properties you manage. For example, managers of government-subsidized public housing are usually required to obtain special certifications. It’s entirely up to you to know which laws and ground rules apply to you. To get started on your research to figure out how to become a property manager in your area, check out this helpful guide that breaks down the requirements by state. Once you know what is expected in your state, you can start taking the steps to obtain the right licensing and ensure that you comply. You’ll notice that, for most states, you’re required to get your real estate license before you can become a property manager. That’s because a lot of the responsibilities of a property manager are similar to actions a real estate agent performs. The requirements for your real estate license also vary by state. The easiest way to look them up is to go to this page and select your state from the drop-down menu. You can also look up all the recommended classes you’ll need by accessing this guide. Usually, real estate students don’t rely simply on their state’s requirements — they also take additional classes such as an exam prep course to make sure they pass their real estate exam. Looking for a career change? Download our FREE guide: Is a Real Estate Career Right for You? While a high-school diploma can be enough for some people to hire you, more and more companies want their property managers to have a bachelor’s degree in business administration, real estate, accounting, public administration, or finance. Other companies seek out candidates with vocational real estate training or a real estate license. Coursework in real estate development, real estate management, real estate finance, urban planning, affordable housing administration, property management, and housing for the elderly are especially sought after. If going back to school isn’t an option, you can always invest in online courses to increase your knowledge and build your skills. Also, don’t underestimate the value of on-the-job training. You may need to start off at an entry-level position, but once you learn the business, you can move up the ranks. Even if you don’t need a license to manage properties in your jurisdiction, obtaining certifications is wise because it reveals to hiring companies, and potential clients, that you have a high level of commitment and professionalism. Many property managers go on to obtain a real estate license—either a real estate broker’s license or a real estate salesperson’s license. And that definitely opens up opportunities for you beyond just property management. You can also go after more specialized certifications, such as Certified Manager of Community Associations, Residential Management Professional (RMP®), Certified Property Manager, or Certified Apartment Manager (CAM). For most certifications, you need to apply, complete specific education requirements, and pass a test or series of exams. While it takes some time and effort, such credentials can definitely set you apart from other job applicants. FREE DOWNLOAD: The many hats you will wear as a real estate agent. Once you’ve obtained the proper certifications it’s time to get a job. Easier said than done? There are a few ways you can jumpstart your job search and find a property manager job that’s right for you. Use your network: Let your friends and professional contacts know you’re pursuing a job in property management. You never know who will be in a position to hire you for a property management job until you start getting the word out there that you’re embarking on this new career. 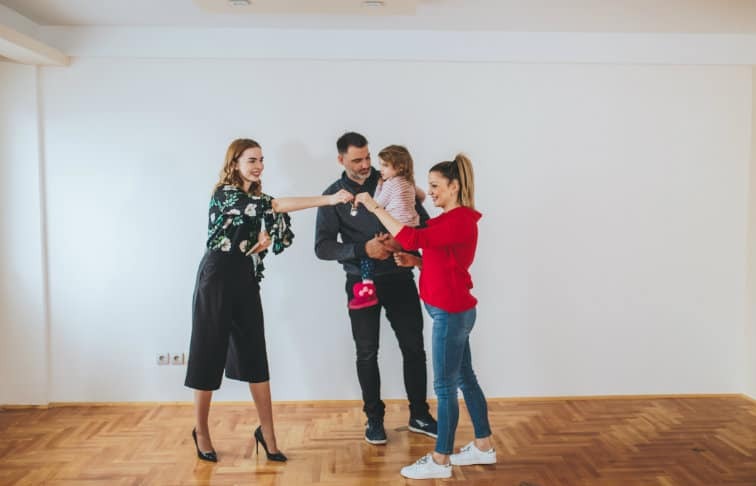 Get to know real estate agents: Agents in your area will likely hear of openings in this niche first, so set up some informational interviews with agents around town introducing yourself and asking for tips on how to get into the business. This will help you get to know them and they’ll most likely keep a look out if they hear of any new jobs. Search online: Job boards and online career resources can expedite your job search. Make sure you’re checking job listings regularly. When you apply online, some people find success by doing some internet sleuthing to find the name of the hiring manager to personalize their cover letters. AppFolio: Easy to read news on the property management industry. 30Lines: Focuses on ways to use new technology to make your residents happier and attract new clients. Multifamily Executive: The place to go for breaking news about everything impacting the housing market. Once you’ve figured out how to become a property manager, and once you’ve gained the skills and credentials, it’s just a matter of getting started. Don’t wait! If this is your dream, now’s the time to execute on it. Do some investigation to find property management companies with solid reputations. Then start your networking and send out your resume until you find the perfect fit.